Answers to the most often asked questions about photo scanning. If you have any other questions, need clarification, or would just like to speak to someone please ring us FREE on 08000 407 896. Photobook / Photo Album Design Service? Do I get my photos back? How many photos can I send you? Can you handle card mounted photos? Mixing Photos, Slides & Negs? Do I have to turn photos right way round? Sort colour from mono? Can I edit my scanned photos? Can I mix colour with black & white photos? Lead Times – How Long Does it All Take? Do I have to have an online album? Photo Scanning – Is The Future in Your Mobile Phone? I’m based outside the UK, how can I pay? What is the online album? How long will the album remain online? You can view, save and share your scanned photos using our Photo Moments app on your iOS (Apple iPad and iPhone) or Android phone or tablet. When you receive your invitation to view your online photo album the email will include a link to the relevant app store from which you can download Photo Moments. 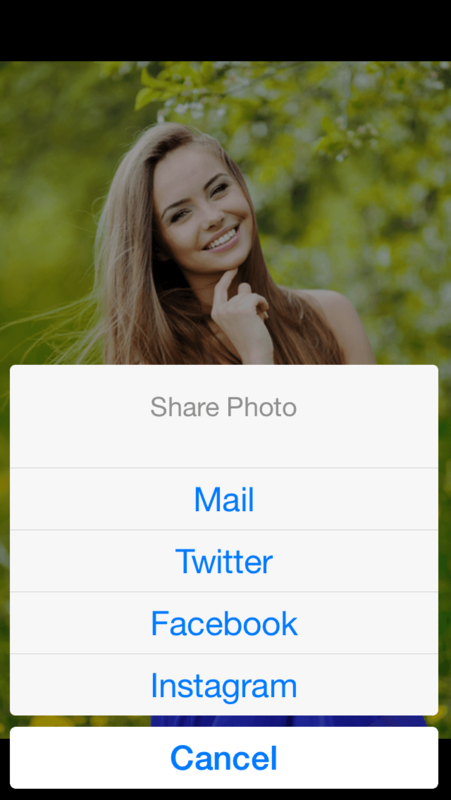 Once installed you will be able to share your images by email, Facebook, Twitter and Instagram. -click the Play icon to play a slideshow. If you are connected to a wifi network you will also be able to Save your scanned photos directly to your mobile device in high or low resolution. You can read more in our Photo Moments post, or on our photo scanning page. We don’t print photobooks nor do we design them. Most of our clients have found the software design packages you can download from photo book printers websites are easy to use. However a few people have wanted to completely outsource the project from taking the photos we scan through from design to printing. We have identified some options by following on from a Google search for “phonebook design services”. The full story is set out in a post here – photobook design services. Yes – we can offer a photobook design service. You’ll see more details when you follow the link above, you’ll need us to scan at least 40 images and additional fees apply. There’s a design fee of $50 and an international shipping cost of $50. These are handmade albums so the book cost falls at the premium end of the spectrum. You may not feel this is appropriate for “everyday” photobooks but if you’re marking a key family event, in our opinion, it’s worth the investment. Yes, we automatically return all photos (and slides or negatives) after scanning along with a disc containing your scans. In some cases we can dispose of your originals after scanning, if you’d prefer this just add a note when you send in your photos. – bundle each set of photos using an envelope or elastic band, making sure each bundle is clearly named. We will scan your photos into these folders. If your images have to be scanned in a particular order within each folder again you need to make this clear. We’ll do our best but can’t guarantee this every time. Photos are scanned into industry standard jpg files, at 600 dpi. Because your files are jpgs you’ll be able to share, copy and edit them. Scanning at 600 dpi means you’ll have enough detail to be able to print enlargements between two and four times bigger than the originals, or crop and still have a good sized file. We believe there’s no real reason to scan at above 600 dpi. We can scan any size up to A4. We’ll handle any number you’d like scanned, literally down to a single image. Yes, with a maximum size of A4. As it takes longer to scan card mounted images the charges are higher. The same technical data applies – 600 dpi, jpg files. Yes, we can. However it’s a much slower process and hence we charge more for albums, the same per image as card mounted photos. As it’s more expensive it’s worth checking if those photos really are stuck in, you’ll save money on scanning and postal charges if they can be taken out. If the photos can’t be removed we can scan them on the page. Each image is scanned into a single file, 600 dpi jpg files as with batch scanning. Apart from your original photo, slides or negatives, we really need your name, a return address and an email address. A daytime / mobile phone number helps too. Please do not send money with your order, we will invoice you when the project is complete. We can handle any mix of standard prints, negatives or slides – just mail them all in and we’ll take care of the details. No, of course not. Just bundle up your photos and mail them in to use. You can mix colour with black & white in the same batch, and we’ll turn them all round for you prior to sending them back. All part of the service. Yes, you can. When you get your scanned images back they’ll be just as if you’d taken them on your digital camera. You’ll be able to import them to your photo editing app and modify them as you wish. There are no copy controls on the scans you’ll get from us. Yes, of course – just treat them the same as your other photos, leave us to sort out the details. We can scan several thousand photos per day so print scanning is pretty fast. Yes, we’re the photo scanning service with a snappy turnround. While photo scanning is measured as scans per minute, slides & negatives are a matter of minutes per scan. These projects take much longer so we’re typically talking days. If you are working to a deadline please phone and we’ll bring you up to date with our schedules. For these orders time to completion is determined by the time it takes to process the slides and/or negatives. We can make scans available to you as they are done via our online album if you need to download your scans quickly. Again, contact us by phone for an up to date picture of our workload. Scans are backed up to CD-R or DVD-R depending on volume, your disc(s) are mailed back to you when scanning is completed. The cost of the first disc or set of discs ia included in the cost of scanning. We can supply additional copies of the discs at a cost of £2-50 per disc. Alternatively we can supply scanned files on a USB memory stick or a USB hard drive and add the cost of that to the invoice. We will return your photos / negatives / slides by the same method you use to mail them to us. If you use Royal Mail so will we, either Recorded or Special Delivery. We also use courier services such as City Link where large items have to be mailed back. Of course compliments are great but if there’s anything we did you didn’t like, or maybe something we’re not doing that you like to see added – please tell us. You can email us at feedback@1scan.co.uk or use our feedback form. We can scan your photos in an order set by you. It does help if you number each photo so that if anything happens we can put your prints in the right order. You can do this by simply writing a number on the back of each print. Please check that the pencil or ballpoint you’re using is safe – that the ink won’t show through onto the face of the photo or “rub off” onto the next photo in the batch. Please DO NOT use felt tip pens and markers. All too often either the ink will soak through to spoil the photo side of the paper and / or get transferred to the face of the following image in the batch. You can reduce the likelihood of back to front photo transfer by giving the marker some time to dry but we’ve noticed that even when ink from markers appears to be dry and safe, as time passes the ink soaks in and stains the image. When sending in batches of photos for scanning in order please, please do not number them using felt tip or marker pens. No, it’s entirely optional. Because we think the album is a great idea the photos we scan are put online as a matter of course. However, if for any reason you don’t want or need the album just let us know. The holy grail of photo scanning always seems just over the horizon, high speed, high quality scanning through an easily available device driven by (near) foolproof software. Scanning slides and negatives are frought with difficulty – slides and negatives are very small, in some cases smaller than your thumbnail. Mono negatives are the other way round. Colour negatives are a whole mess of opposing shades that only make sense through complex software. Scanning photo prints is a much easier. The originals are generally bigger – typically the size of a postcard, and the colours / tones are the “right” way round. What better for easily available, powerful, portable devices than today’s mobile phones? Is the waiting over, could the humble iPhone be the next print photo scanner? I was struck by the launch of a new phone based scanning app (Android & iPhone) called Photomyne. One of the key features that struck me from their launch video is the ability to automatically crop the photo out of the background. One of the biggest drawbacks in scanning with lo cost scanners is the need to either create a “mask” around the image before scanning or to crop out unwanted pixels post-scanning. Second, the app boasts the facility to snap several photos in one pass and have the software break that down into two, three or more separate images. This kind of feature is only offered in more expensive photo scanning packages but it’s a great time saver. I downloaded the app for my iPhone 5S. I opted for the free version. Getting the app downloaded and an account set up was pretty simple and I was up and running in a few minutes. Great. I took out some sample prints for a quick comparison test pitting my iPhone / Photomyne against our dedicated Kodak photo scanning system. As a test I opened an album into which some years ago we stuck some prints from a trip to Tilbury Fort. I also grabbed snapshots taken at Euro Disney a few years later. They are still loose. How did it go? First problem struck me when I opened the album. In arty mood we’d stuck the prints onto the album page so they overlapped. However clever your scanning software might be, when one image physically overlaps another you’re not going to get a reasonable result without taking the prints out of the album. Understandable but nonetheless a fail for this feature. I took the prints out of the album and laid them on a table lit by strong sunlight. Next problem, the prints aren’t flat. Peeling them from the sticky pages of the album causes a curl and that distorts the scan via the phone. This is visible in the distortion and flare in the top left of the scans. You could overcome this by sticking the prints under a weighty book for a day or so, but as you’ll see the Kodak scanner yielded a good scan without this pressure. Looking at the quality of the colours in the scans it has to be a mixed view. On the positive side, the older images (from the Fort) have been spruced up a lot – but Kodak does a much better job. On the minus side the more recent prints show a blueish caste, which might be an issue with white balance. Using the app reveals several enhancements which are at a cost, maybe if you upgrade there’s some control over this, but not in the free version. Incidentally although the app uses the phone’s camera the resulting images aren’t shared to the iPhones camera roll without paying extra. To get hold of these images I had to email them to myself. That was simple and quick but for a small sum you’ll get extra convenience. Photomyne also does a good job of cropping single images. Certainly can’t fault that, it’s every bit as useful as the Kodak and both are far, far better than drawing masks. The massive drawback comes when you look at the scans on a computer. If you want to do anything more than sharing via social media (which is part of their pitch) there simply isn’t as much data in the files as you need. We scan at 600 dpi – Photomyne drops to a more 72 dpi. By my maths our Kodak scans are about 1200% more detailed, allowing you to do so much more by way of editing and cropping the final image. In terms of file sizes Photomyne offers a puny 135 Kb image against 2.1 MB from the Kodak. Would I use the Photomyne app? Yes: it has a place, a quick scan, simply shared to social media and enjoyed by friends and family. Far more easily achieved this way than through your desktop Epson or that complex multi-function machine. If you’re looking to secure a high quality archive scan that you can do something with and be proud of, nothing beats the quality of the Kodak scanner. The scans we provide – print scans, negative & slide scans – are all standard file formats, except where clients have specially requested otherwise your scans are returned as jpg files. You can take those files to your local photo printer and get prints made there at reasonable cost. We don’t actually have commercial photo print equipment here. We cannot therefore make prints from the scanned images we make for you. However, if we scan photos we will create an online photo album. One of the features of our albums is that you can use them to have prints made for you. This applies not just to you but to anyone to whom you give access to the album. Links to the album and your security password will be sent to you when the online album is set up. The print facility is targeted at quality and the prices will be higher than those typically set in your High Street. Both will be much higher than the internet bulk printing services. If you order prints this way you can pay for your prints and mailing costs using credit or debit card. If you share access to the library with friends and relatives they too can order prints but they have to use their card to make payment. Photos are scanned into jpg files. Slides and negatives can be scanned into either jpg or tiff files. If you want tiff files from your slides or negatives you should order the Professional service. You can have TIFF files from slide and negative scans at no extra cost. However as the files are significantly larger if you ask for your files to be returned on USB then you’ll need a bigger unit, and that might cost more. Getting a great scan from a slide or a negative starts with a good, clean original. Most of the originals we get sent to scan are well kept, cared for and in good condition. However we do have ways to make sure we get as clean an original as possible, then to get the cleanest scan from the material we work with. Prior to scanning we have physical means to clean slides and negatives – special purpose cleaning brushes, compressed air being the main ones. During scanning we use Digital ICE to remove dust and scratches. This is a combination of hardware and software which uses an infra-red scan channel to identify imperfections on / in the surface of the media we scan. Then these flaws are corrected. We use Digital ICE as a matter of course in scanning slides and negatives. The only exception is scanning Kodachromes which have too high a silver content, so we don’t use Digital ICE on Kodachromes. Although both were made by Kodak, and have familiar sounding names, Kodachrome and Ektachrome are very different slide films. Digital ICE does not work on Kodachrome. It does work on Ektachromes, therefore it will be used by default in our scanning. When your work is done and on its way back to you we will send you an invoice, this will be by email if you’ve given us your email address. Your scans will be in the mail before you’re asked to pay. As of 2017 you can now pay using Bitcoin. The relevant links / account data will be with the invoice. For most overseas clients the easiest payment method is PayPal. You’ll be sent a link with your invoice and using that you’ll be able to pay using your credit / debait card, and in your local currency. If you have a bank account that supports sterling transfers you’re welcome to do that, the details will be in the body of the invoice we wend you. The online album is a free part of our service. We’ll create the album for you and when your project is complete we’ll send you a link along with the password you’ll need to access your scans. Using the album you’ll be able to see your scans and (at no charge) you can download your scans immediately. This provides a shortcut for clients who need their scans quickly, and a longterm archive – just in case. From the album you can also order prints and other photo gifts, all mailed direct to you. You can also share the link with friends and relatives so they can share and enjoy your scans. With access to the album they will also be able to download images and order prints etc. They will have to pay for those items, they’re not invoiced to you (nor is that possible) and they will be mailed direct to them. The album is accessible from anywhere in the world, with fulfilment in most major territories worldwide. Your album will remain live and accessible for as long as we stay in business, and we’ve no plans to shutdown.